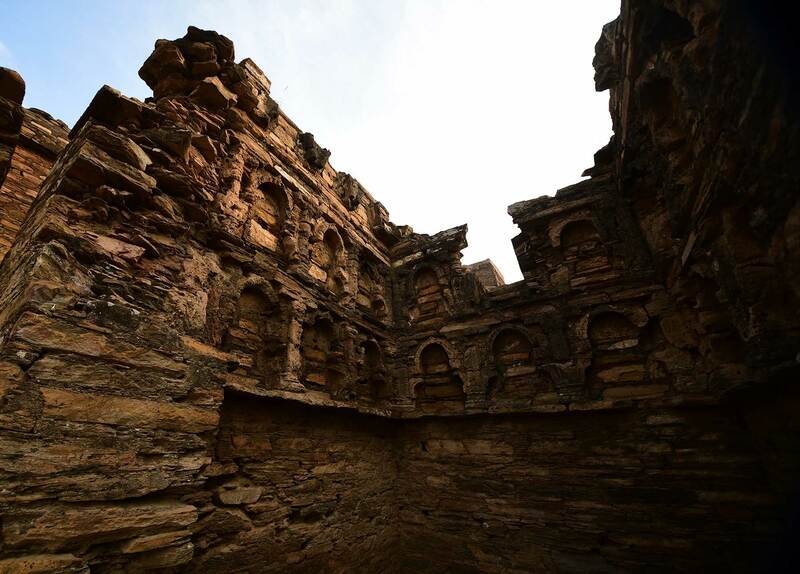 Journalist and KP native Iftikhar Firdous makes a recent trip to the ancient Buddhist monastery of Takht Bahi. As he retraces the history and legend of this fascinating complex, one feels transported 2000 years back in time – as the deep calm of worship and meditation from long ago continues to channel serenity and zen in this sacred space. 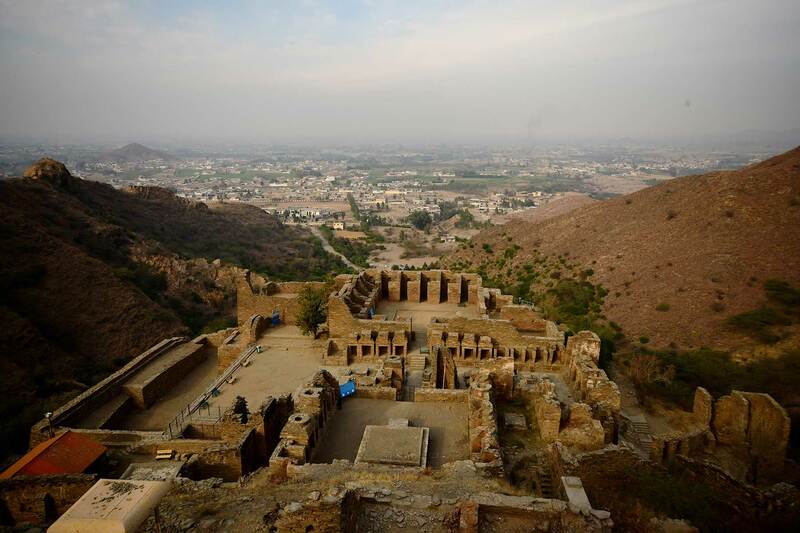 The first thing that hits you when you look down from atop the hills into the complex structure is that the Takht Bahi Buddhist monastery in its austerity was so isolated that its actual name has not survived down in history. At five hundred feet, the fumes of the chapli kebab, the noise of the motorcycle rickshaw and the honking from the perpetually clogged traffic of the Mardan-Malakand Highway fades away in the past, like an urban myth. The three hundred steps shaded by the thin leaved eucalyptus trees create a world of their own, each step upwards the monastery is like travelling 200 years and so by the time you’re in the main assembly hall – you’ve travelled 2000 years! People call them the ruins of Takh Bahi (Khandarat) but if you look at the city from this height, the silhouette of modernity is covered by a thick layer of cloud and nothing exists except the monastery. 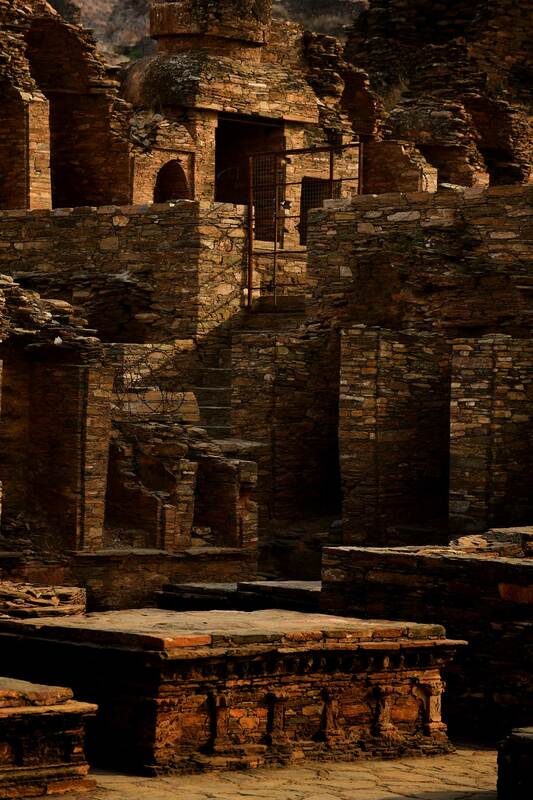 The Buddhist ruins of Takht Bahi, translated as the Throne of Origins or the High Spring from its Persian roots, where ‘takht’ refers to a throne and ‘bahi’ means a spring or water, are a monastic complex founded in the early 1st century AD. The Buddhist monastery was in continual use until the 7th century AD. The name was given to the area because of the two water tank like structures believed to be water reservoirs. But the archaeological excavation conducted in the area between 2002-2005 proved the notion to be false and what was established was that the reservoirs were actually two stupas. Hence ended the myth attached to the name. One of the earliest inscriptions found from the site refers to Gondophares, the Indo-Parthian king of the time, written in Kharoshti language, which leads to the belief that the site belongs to the 1st century AD. Professor Fidaullah Sehrai, one of the most renowned archaeologists of Khyber Pakhtunkhwa, has divided the development of the monastery into four distinct phases. The first period would be the first and second century of the Parthians and Kushans when many stupas, the kitchen and refractory were created. The second stage is in the third and fourth century when the main stupas and the assembly hall were constructed. 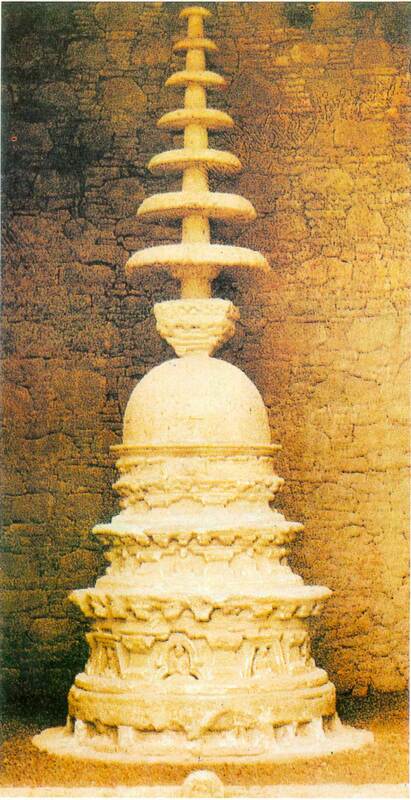 Then, three major stupas were added in the fifth century (which would be the third phase) and it was right at the end towards the seventh century (the last phase) that the Tantric complexes or, what we now call the meditation cells, were built. 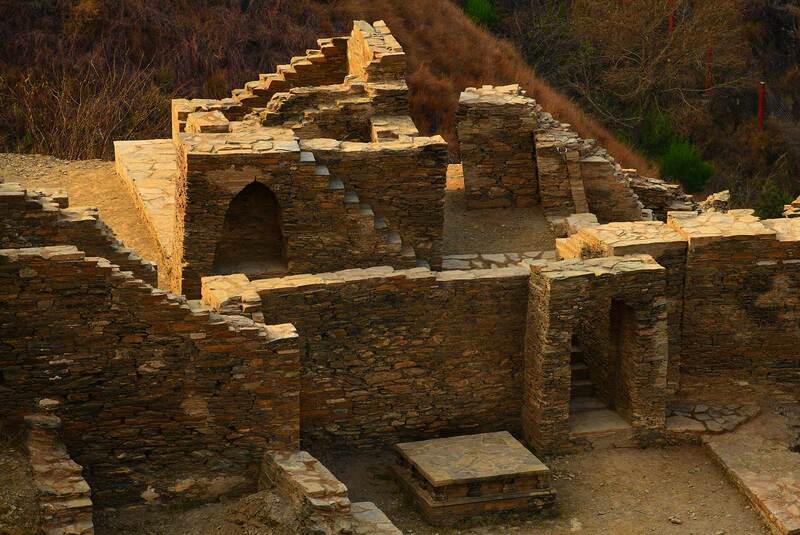 Takht Bahi remains one of the most completely secured Buddhist sites of Pakistan. “We do not find any remains of the people who once lived here,” says Muhmmad Ihsan, the historian at the site. “It seems that the monastery was abandoned before it was attacked and razed to the ground,” he adds. During the period of Asoka, the remains of Buddha were divided into more than eight thousand pieces and buried in different stupas across famous monasteries. Historians believe that there is a high probability that those remains did reach the Takht Bahi monastery as well, but there is little historical evidence to establish that legend. The excavation of the site started in the second half of the nineteenth century and has continued intermittently. If we were to add up the total time spent to excavate the entire visible monastery it comes to almost twenty-eight years. “What we see above the ground is only 27 percent of the total structure that archaeologists have been able to dig up” says Ishan, “whereas it is believed that about 73 percent of the monastery still remains buried under the mountains.” The estimated total area of the monastery is said to be 93 hectares! 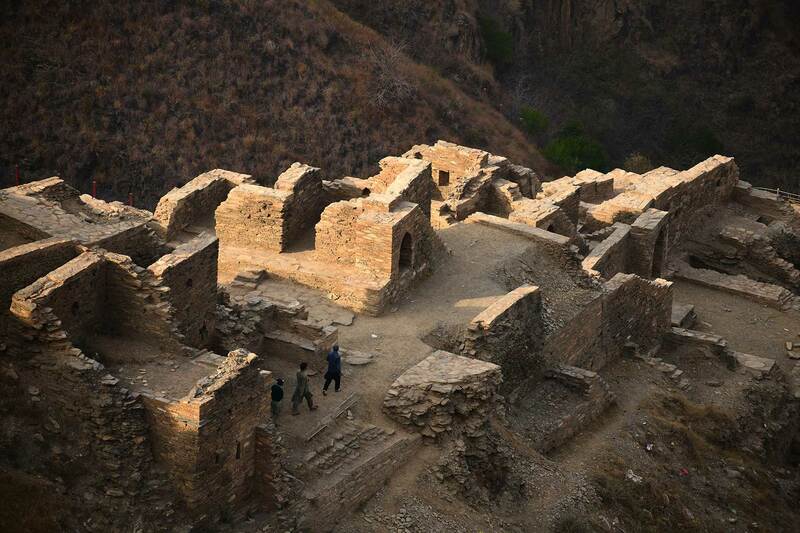 Due to the location of these Buddhist ruins of Takht Bahi atop high hills, it has managed to evade successive invasions. However, due to local disregard for its cultural and historical importance combined with the disinterest of the previous governments, many illegal diggers smuggled important artifacts from the monastery. For me as child in the early 90’s during my first visit to Takht Bahi, when the sale of small scale Buddha sculptures went for as cheap as PKR 200 (around $4 back then), it was not something astonishing at the time. 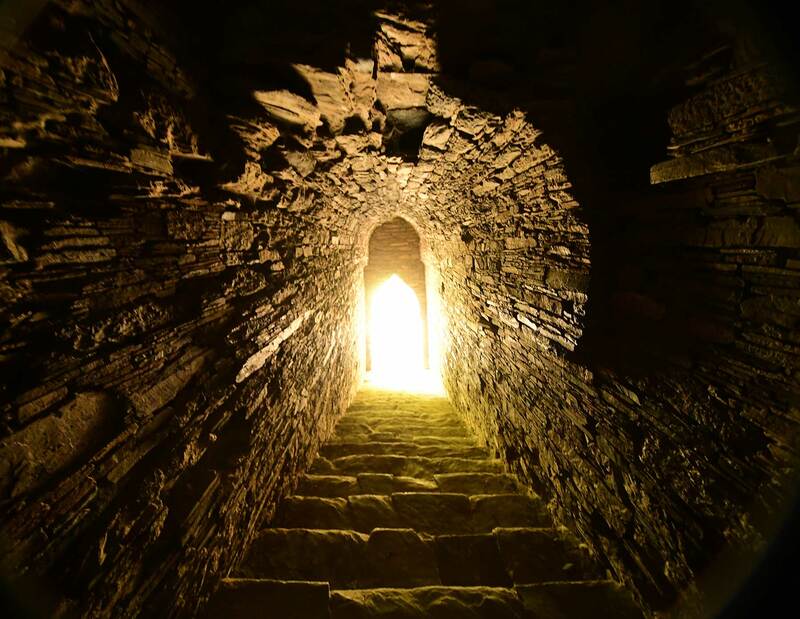 In later years, the place gained notoriety in the eyes of the locals as a potential dating spot; and it was not until the year 2000 that substantial steps were taken to preserve and protect the site. In 2018, it was the first time in the history of the area that a Federal Minister visited the ruins. But even then, the authenticity of form and design has remained and the original shape of the complex is visible. Many of the stone sculptures have been removed to the Peshawar Museum and the stone inscription of Gondophares is preserved in the Lahore Museum. It is only recently that the place is gaining its due place back in the public eye as more and more tourists are gradually flocking towards it. The Khyber Pakhtunkhwa government has plans to develop a park in the area for religious tourism. It is interesting to note that there have been a number of diplomatic missions in recent years that have visited the area for religious reasons. However, a little heads up for those who want to visit – be prepared for the climb uphill because the site is located at quite some height. Benches have been placed for those who would need to rest while making the steep climb. The bazaar at the bottom of the ruins has everything available and the food in the area is unique for its taste, particularly the chapli kebabs. The KP government has set up a tourist facilitation centre and a guide is available to guide you through the journey and explain the history through a booklet. As you weave your way through the complex, an unmistakable sense of deep calm takes over your senses. It feels as if the worship and meditation from long ago still continues to channel serenity and zen in this sacred space.